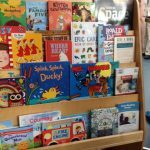 Here at Give a Book, we love to encourage reading for pleasure and what better way to do that than by helping to create and foster a reading culture at a school by helping set up a library space. 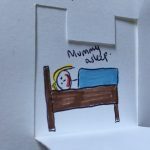 In 2017 we were introduced to George Mitchell school by Sandi Cooper who works as a Business Connector in the Waltham Forest area. She was trying to help a local school who were in a difficult transition period of moving from temporary accommodation into a new build. 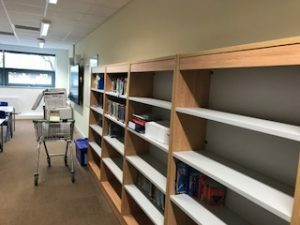 Despite having a lovely librarian and great senior leadership team who were very interested in ppromoting reading, circumstances meant that they had very few new books. Their library was a small sad trolley of books. 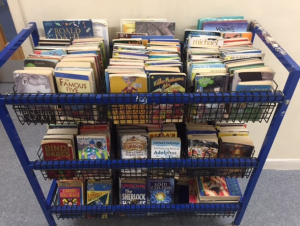 Very little reading was happening out of school and the children who did want to read had gone through the sparse selection available. To encourage more children to read, the school were looking for a way forward. The school had been given the budget for the build so were going to get a nice big space but what to put in there? This is where Give a Book came in! 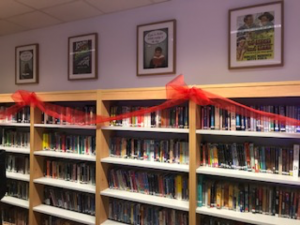 We got to work immediately helping them make links with Foyles Foundation, BookTrust, Schools Library Service and ordered some books in for their new space. We also connected them with the fantastic FGL Learning who had worked with us before on the Ashburnham Library project. We have also been helped by the wonderful Siobhan Dowd Trust who have gifted the school books and have also promised one of their lovely local bookshop sprees where the pupils will be able to go and visit the local bookshop and buy their choice of books for their new library! 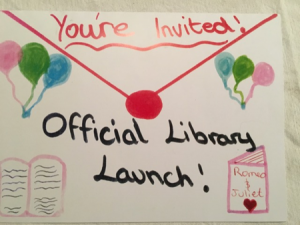 6 months on, the school are in their new building and we just attended the launch of the new library which was officially opened by the local Mayor. The school now have a lovely, light space filled with books and enthusiastic pupils wanting to read! 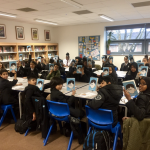 Our friends at Book Clubs in Schools have also started a new book club run in the new library, and we have also got in touch with Patron of Reading to try and connect them with an author. Watch this space for more info on this soon. 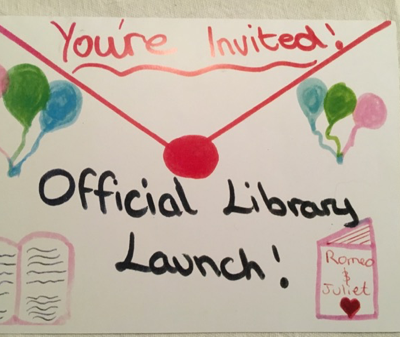 Intrinsic to the success of this project has been the dedication of both Sandi and the school librarian Jackie Ainsworth who has worked tirelessly to get this school back into a reading culture. A school with a new library, lots of books and a dedicated librarian, George Mitchell is back on track!